Not much to this one. Kimbrel led all relievers with a 3.2 fWAR (Fangraphs Wins Above Replacement) and was my choice for the BBA Willie Mays award for rookie of the year, which he won. Over 77.0 innnings, Kimbrel tossed a 2.10/1.52/1.94 (ERA/FIP/xFIP) pitching line with a staggering 14.84 K/9. And sure, he recorded 46 saves if you're the type of person who cares about that stuff. But if you like saves, you probably don't know how to text message and aren't reading this. Braves manager Fredi Gonzalez rode Venters into the ground in 2011. 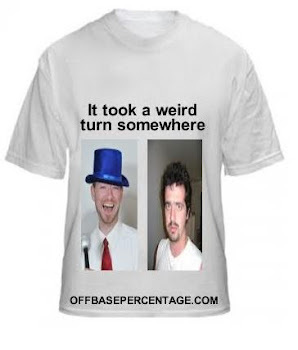 That's actually true of Kimbrel and Eric O'Flaherty too and contributed to the Braves collapse down the stretch. Venters appeared in 85 games and pitched 88.0 innings. He threw a 1.84/2.78/2.88 pitching line which was hurt when he ran out of gas. In 12.1 September innings, Venters gave up seven runs on 13 hits and 10 walks. It wasn't pretty. But he was so brilliant for the rest of the season, I have a hard time penalizing him for his manager's mismanagement. 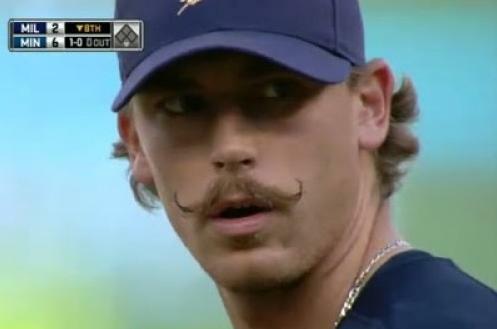 If the BBA would let me vote for mustaches for the Goose Gossage award like I wanted to, Axford would have run away with this thing. I'd have to agree with gcuprogrammingfundamentals. I mean, your idea? Really helpful. Your beloved brands? In need of some investigatin'! On a scale of one to asparagus, I'd give it three paper clips. I am so much impressed after seeing your blog.it gives us knowledge so I just wanna say its knowledgeable.